Race Fan's Page For Fans That Love Racing. 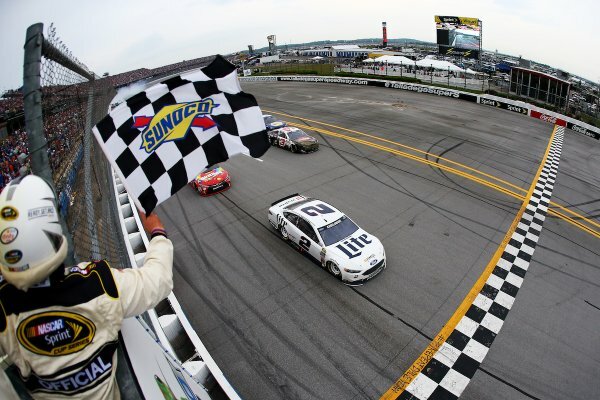 After a three-lap dash to the finish in Sunday’s 2016 NASCAR Sprint Cup Series (NSCS) GEICO 500, it was Brad Keselowski taking the checkered flag to win at Talladega (Ala.) Superspeedway (TSS). Keselowski, who led the most laps – 46 out of 188, received his second series win and fifth top-10 finish of the season, his 19th series career win in 243 races and his fourth series win in 22 races at TSS. Finishing second behind Keselowski was Kyle Busch, and they were followed by Austin Dillon finishing third, Jamie McMurray fourth and pole-sitter and series Rookie of the Year (ROTY) candidate, Chase Elliott finished fifth. Rounding out the top-10 finishing positions were Tony Stewart/Ty Dillon taking sixth-place, Clint Bowyer seventh, Kurt Busch eighth, ROTY candidate Ryan Blaney ninth and Trevor Bayne brought home 10th-place. The current series points leader, Kevin Harvick, finished in 15th and leaves ‘Dega with a 9-point lead over the defending series champion, Kyle Busch. At-track tech is done with no issues (as well as postrace lug-nut tech). Keselowski & Kyle Busch cars to R&D center. Time of Race: 03 Hrs, 34 Mins, 15 Secs. Up Next: The series heads to Kansas Speedway for the GoBowling.com 400 on Saturday, May 7th, with an approximate starting time of 7:50 p.m. (ET) on FOX Sports 1. 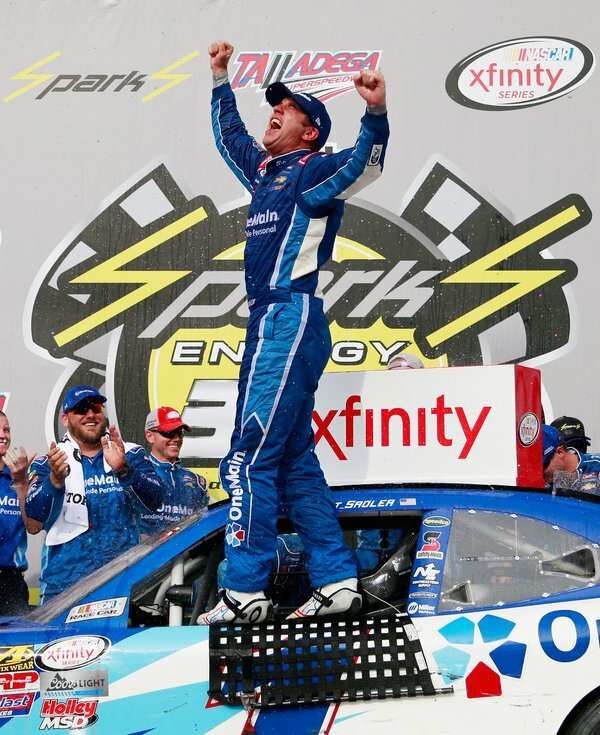 After a green-white-checkered (flags) dash to the finish, 2016 NASCAR XFINITY Series (NXS) veteran driver, Elliott Sadler, wins Saturday’s NXS Sparks Energy 300 at Talladega (Ala.) Superspeedway (TSS) as the leaders wreck just within seconds to the drop of the checkered flag. Sadler, who broke a 65-race winless streak, received his first series victory and eighth top-10 finish of the season, his 11th series career victory in 305 races and his second series victory in eight races at TSS. Justin Allgaier finished behind Sadler to finish in second-place, and they were followed by series Rookie of the Year (ROTY) contender, Brennan Poole finishing third, Jeremy Clements fourth and Brendan Gaughan finished fifth. Rounding out the top-10 finishing positions were Austin Dillon taking sixth-place, Daniel Suarez seventh, pole-sitter Matt Tifft eighth, Chase Elliott ninth and Aric Almirola brought home 10th. 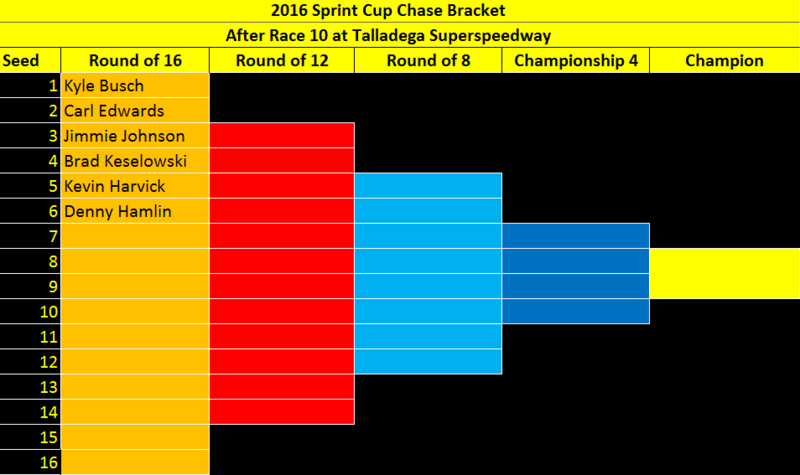 With his victory, Sadler breaks the tie for the lead with Daniel Suarez and leaves Talladega the series’ points leader. Time of Race: 02 Hrs, 19 Mins, 45 Secs. Up Next: The series takes the next weekend off and returns to action at Dover International Speedway on Saturday, May 14th, with an approximate starting time of 2:20 p.m. (ET) on FOX. NASCAR post-race inspection is done. No issues. No cars to the R&D Center. 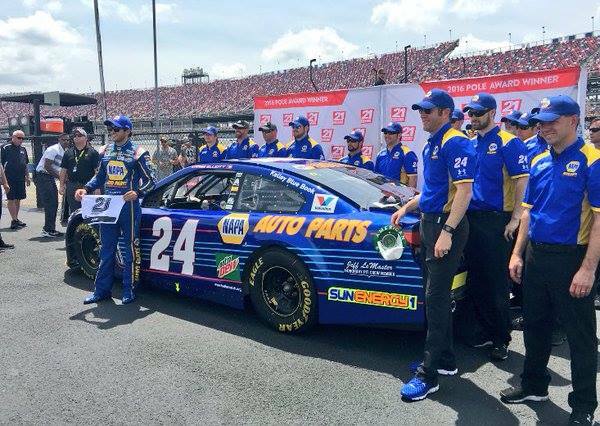 2016 NASCAR Sprint Cup Series (NSCS) Rookie of the Year (ROTY) candidate, Chase Elliott – with a qualifying lap speed of 192.661 MPH – captured the pole for Sunday’s NSCS GEICO 500 at Talladega (Ala.) Superspeedway (TSS). On Saturday, Elliott – this year’s NSCS Daytona 500 pole-sitter, received his second series pole and fifth top-10 start of the season, his second series career pole in 15 races and his first series pole in one race at ‘Dega. Starting second on the outside pole with a qualifying lap speed of 192.424 MPH will be Austin Dillon; followed by Dale Earnhardt Jr. (192.293 MPH) starting third, Matt Kenseth (192.181) fourth and Jimmie Johnson (192.116) starts fifth. Rounding out the top-10 starting positions will be Ricky Stenhouse Jr. (192.089 MPH) starting from sixth, Brad Keselowski (192.008) seventh, Denny Hamlin (191.954) eighth, Carl Edwards (191.819) ninth and Paul Menard (191.812) qualified in 10th-place. Failing to make the 40-car field and heading home was Josh Wise. The 47th annual GEICO 500 is slated to get started around 1:20 p.m. (ET) Sunday afternoon on FOX. 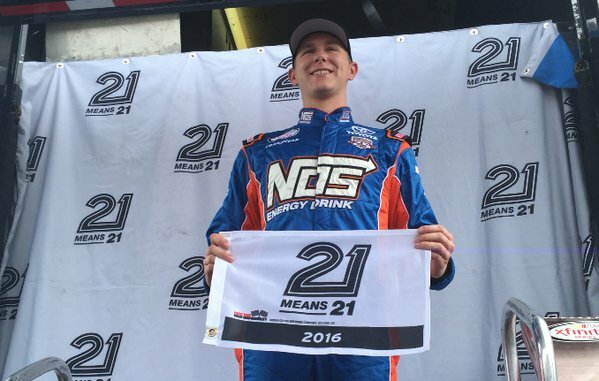 Early Saturday afternoon at Talladega (Ala.) Superspeedway, Matt Tifft – with a qualifying lap speed of 181.168 MPH -captured his first career NASCAR XFINITY Series (NXS) pole (in his sixth series’ start), and will lead the field to the drop of the green flag in today’s Sparks Energy 300. Tifft’s fellow Joe Gibbs Racing (JGR) teammate, Daniel Suarez, will start second on the outside pole with a qualifying lap speed of 180.846 MPH, and they’ll be followed by Austin Dillon (180.506 MPH) starting third, series Rookie of the Year (ROTY) candidate, Erik Jones (180.366) fourth and Ty Dillon (180.217) starts fifth. 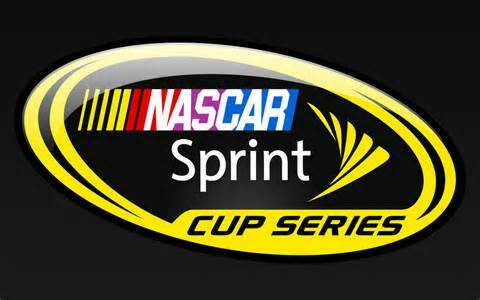 Rounding out the top-10 starting positions will be Brendan Gaughan (179.763 MPH) starting from sixth, Ryan Reed (179.061) seventh, Joey Logano (178.817) eighth, Elliott Sadler (178.660) ninth and JJ Yeley (178.394) qualified in 10th-place. Failing to make the 40-car field and heading home were Mike Harmon, Josh Reaume and Derrike Cope. The 25th annual Sparks Energy 300 is scheduled to get underway around 3:20 p.m. (ET) this afternoon on FOX. 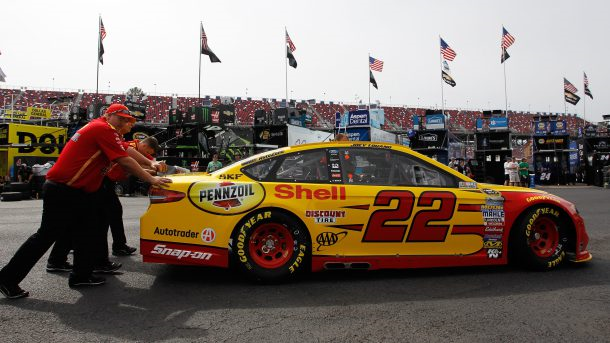 In the final 2016 NASCAR Sprint Cup Series (NSCS) GEICO 500 practice session early Friday evening, it was Joey Logano – with a lap speed of 196.290 MPH – at the top of the the speed chart at the end of the session at Talladega (Ala.) Superspeedway (TSS). Series Rookie of the Year (ROTY) contenders, Ryan Blaney (196.238 MPH) and Chase Elliott (196.185 MPH) were second and third fastest repectively on the speed chart, while Danica Patrick (195.094) was fourth and ROTY contender Brian Scott (195.003) was fifth. Rounding out the top-10 fastest drivers in the “Happy Hour” (final) practice were Kasey Kahne (193.854 MPH) who was sixth, Dale Earnhardt Jr. (193.584) seventh, Trevor Bayne (192.688) eighth, Austin Dillon (191.919) ninth and Kurt Busch (191.777) posting 10th. Normally on Friday, the NSCS teams only have one practice session followed by qualifying, but for this weekend, qualifying will be held on Saturday at 12: 30 p.m. (ET) on FOX. The 47th annual GEICO 500 is slated to get started around 1:20 p.m. (ET) Sunday afternoon FOX. Car must run 10 consecutive laps on track to be included in the above chart. 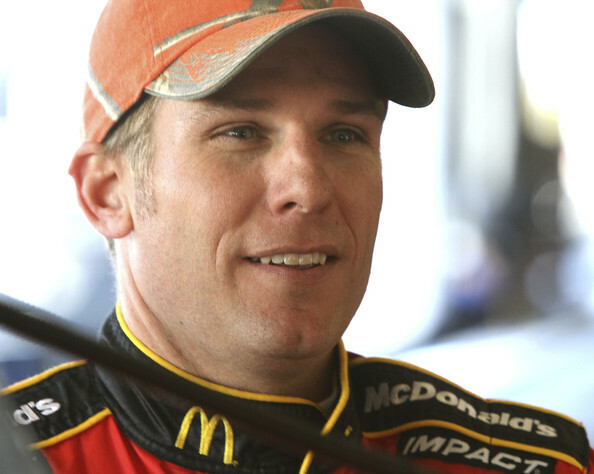 Jamie McMurray, with a lap speed of 199.737 MPH, was the quickest Friday afternoon in the first 2016 NASCAR Sprint Cup Series (NSCS) practice session for Sunday’s GEICO 500 at Talladega (Ala.) Superspeedway (TSS). Series Rookie of the Year (ROTY) candidate, Chase Elliott, was second quickest in practice with a lap speed of 199.729 MPH, and he was followed by Kurt Busch (199.409 MPH) who was third, Danica Patrick (199.384) fourth and Trevor Bayne (199.317) was fifth. Rounding out the top-10 quickest drivers in the session were Kevin Harvick (199.288 MPH) who was sixth, Casey Mears (199.251) seventh, Joey Logano (199.247) Kyle Larson (199.243) ninth and Michael McDowell (199.193) posting the 10th-quickest lap speed. Normally on Friday, the NSCS teams only have one practice session followed by qualifying, but for this weekend, qualifying will be held on Saturday 12:30 p.m. (ET) on FOX and “Happy Hour” (final) practice will be later today from 4:30 p.m. – 5:25 p.m. (ET) on FOX Sports 1.